HORIZON IS BACK WITH ANOTHER HIT MUSICAL COMEDY OUTSIDE IN PIEDMONT PARK! …which the AJC’s calls “A hoot to see musical comedy… The songs are catchy; the message has heart!… An avenue for laughter and letting go!” While wanderlustAtlanta lauds, “You’re going to laugh, laugh some more, and laugh again. There may be a tear or two, but you’ll find yourself mostly surrendering to the fast-paced hilarity breezing by before you!” And Atlanta Arts Scene says, “While there have been several stories and plays about exchanged personalities; this one is really upbeat and unique!... The extraordinarily energetic cast stages 19 high intensity numbers… they swim into it with ease.”You do not want to miss this show! Join us in the park, under the stars, when a mom and her teenage daughter magically swap bodies, they have just one day to put things right again before mom’s big wedding. Freaky Friday, a new musical based on the celebrated novel by Mary Rodgers and the two hit Disney movies, is a hilarious and heartfelt update of an American classic in which a mother and daughter really see what it takes to be a family when they experience each other’s lives first-hand for just one freaky Friday. 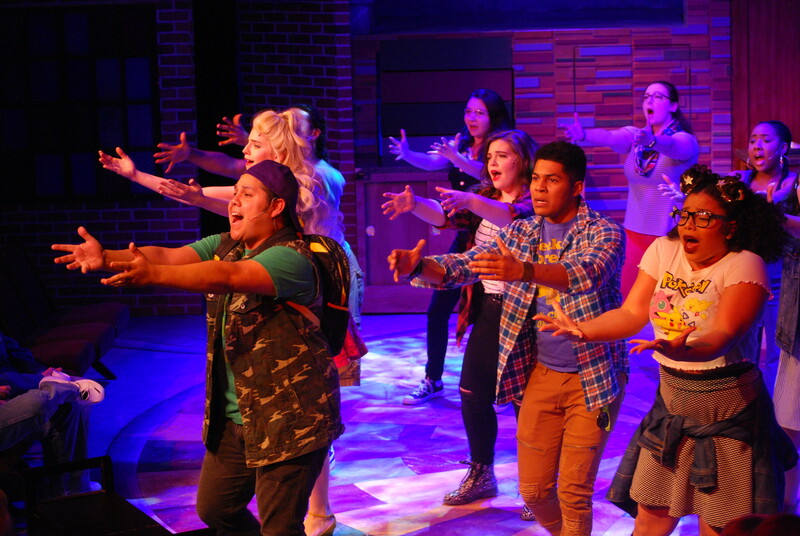 With a score by the Pulitzer Prize-winning composers of Next to Normal and If/Then and a book from the writer of TV’s Friday Night Lights and Parenthood, Freaky Friday is a delightfully entertaining new musical for anyone with a perfectly imperfect family. So come laugh and party with us in Piedmont Park this summer (in The Promenade area near the Atlanta Botanical Gardens and Sage Parking Garage). Bring your own picnic or purchase from onsite food trucks and concessions/bar. Audiences can bring their own food, water, and soft drinks – but no alcohol or glass. Wine, beer, water and soft drinks will be available for purchase. Grounds open for picnicking at 6pm. Show starts at 7:30pm. $15* RESERVED SEATING SECTION – Up front near the stage! $35* TABLE SEATING – Up front near the stage! *RAIN POLICY: For current information on Rain Delays or Cancellations, check our Facebook page. If the show is canceled by Horizon Theatre due to rain, your tickets may be exchanged for another performance in the Park. If you cannot attend another performance, please contact the Horizon Box Office. •	No outside alcoholic beverages. •	No glass allowed in the park. •	Only beach chairs 24 inches or shorter permitted. •	Only service animals permitted.